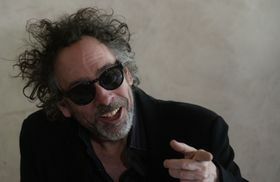 Tim Burton is known for distinctive, stylised movies such as Edward Scissorhands, Sleepy Hollow and The Nightmare Before Christmas. 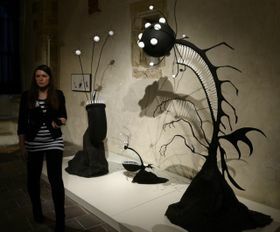 Now aficionados can enjoy the director’s art at a new exhibition in Prague simply entitled Tim Burton and His World. 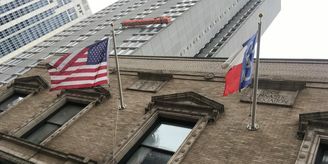 Ahead of its opening, the filmmaker recalled a previous trip to the city – and taking inspiration from a Czech filmmaker. 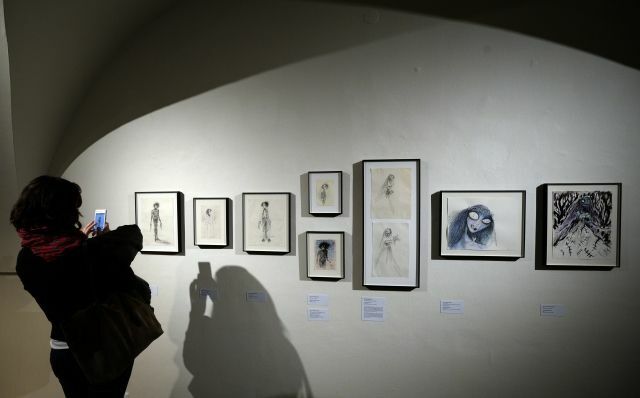 Tim Burton and His World, photo: CTK Tim Burton’s movies feature instantly recognisable elements of Gothic horror, dark fantasy and idiosyncratic humour that have won him legions of fans around the globe. That sensibility is now in evidence at an exhibition of the filmmaker’s art at Prague’s House of the Stone Bell. It brings together around 150 sketches, maquettes, storyboards and other items likely to delight fans. Wearing his trademark sunglasses, Burton told a jammed news conference on Thursday that it wasn’t his first time in the Czech capital – he’d shot a watch commercial here in the mid 1990s. “It was fun to shoot in Prague. It was a strange experience. It was great. Our production office was in a brothel. I was running in and out doing something, and I kept going, what are all these girls doing, sitting here? And it was like, oh, this is our production office. Though perhaps better known for feature films, Burton started out in animation. 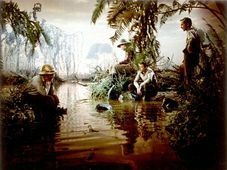 Among those who shaped his approach, he told reporters, was the great Czech animator Karel Zeman. “His films, like [The Fabulous] Baron Munchausen… And I remember some dinosaur series with kids in it [probably Journey to the Beginning of Time]… And I remember where I grew up in Burbank there was a documentary on Karel Zeman that showed his creative process and that was extremely inspirational to me. 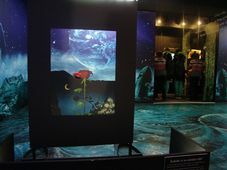 The new show, located on three floors at the medieval House of the Stone Bell, has a distinctive look that envelops visitors the moment they enter the building. 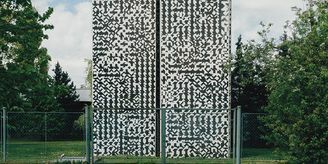 Its architect is Michal Froněk from the leading Czech design company Olgoj Chorchoj. 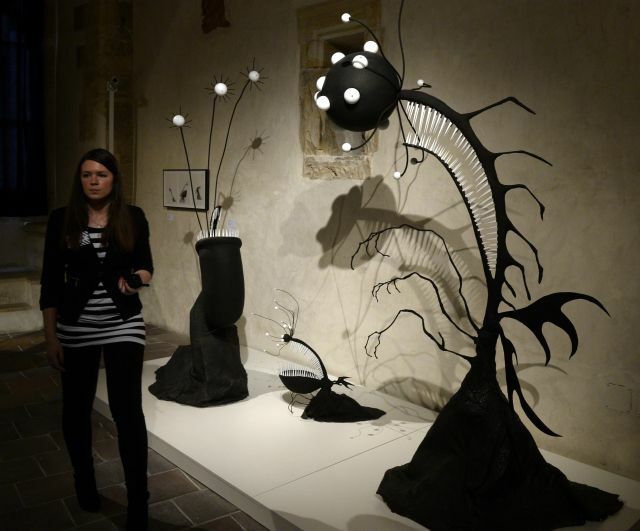 Tim Burton and His World opens on Friday and runs until August 3.